Tinker Tailor Soldier Spy, the new film from Let The Right One In director Tomas Alfredson featuring a ridiculous amount of acting talent, is looking like more than your average prestige fall movie. 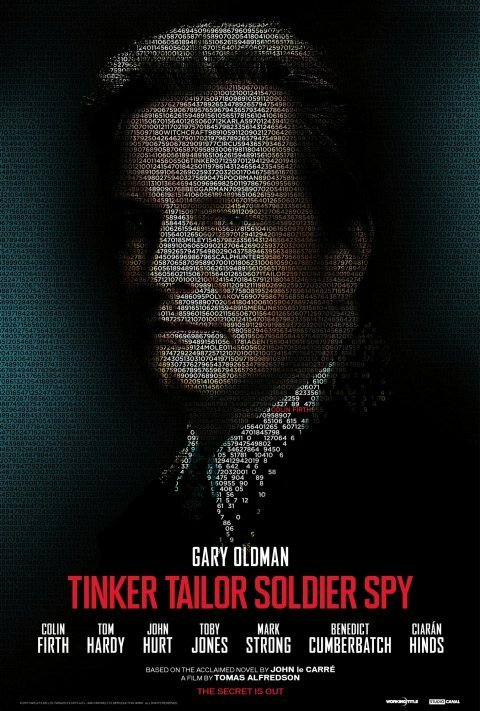 Based on John le Carre's novel of the same name, the movie stars Gary Oldman as a former British spy brought back into the game to root out a mole in his own organization; the movie's first poster played off both these selling points, featuring Oldman in profile, made completely out of code that, when analyzed, revealed key character names and even the movie's release date. Paired with a newly released, energetic and mysterious trailer and you've got a mystery you're dying to unravel before you even know the details. Now the code treatment has spread to two of the film's other main characters, played by Tom Hardy and Colin Firth. The posters, which debuted at Sky and can also be seen below, give you a chain of numbers that leads to the actor's name in very small print; there are also seemingly random words thrown in there, from "tinker" and "Smiley" to "mole" and even "witchcraft." Fans of the novel may enjoy decoding it, but for right now I'm going with the mystery. And speaking of mystery, does Tom Hardy not look weirdly like Brad Pitt in Moneyball in this poster, with the floppy blond hair? Look at this image and tell me they couldn't at least be brothers on some kind of mission together. And even if you're not down with my theory, take a look at the two new posters below and click for the respective giant versions at Spy. 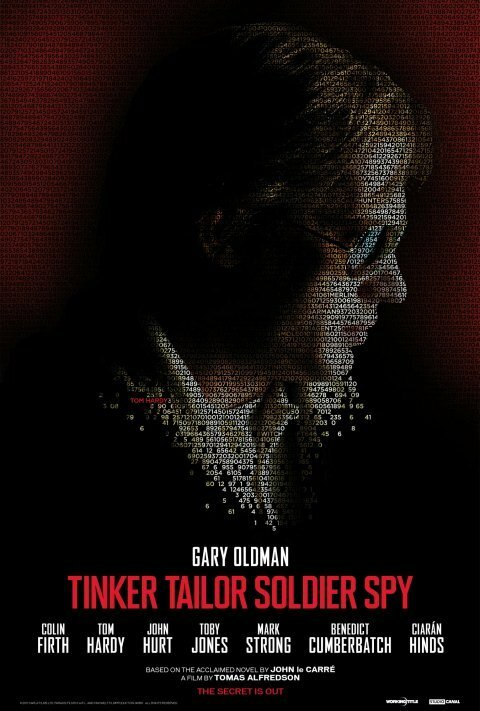 Tinker Tailor Soldier Spy comes to theaters in the United States on November 18, but will premiere first at the Venice Film Festival if you happen to find yourself in Italy come early September.